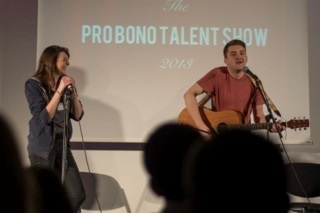 On 22nd March 2013 UCL students raised a magnificent £498 for FRU at their annual pro bono talent show. Miles Beckwith, Performer said "Taking part in 'Benthams got talent' was great fun. The atmosphere was warm and friendly and everyone seemed up for a good night. It's nice to know that the whole thing was in aid of the FRU, which is a great cause. The money raised comes at a crucial time and it is fundraising events like this that will safeguard everyone's right to representation." 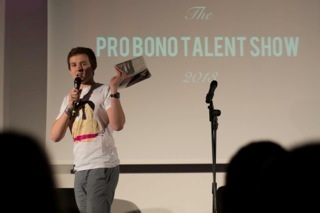 Jack Palmer-Coole, Organiser, UCL Law Society Pro Bono Officer 2012-2013 said "The money raised by the Talent Show was donated to FRU as we felt that it was a most worthy cause to aid as a student body and more importantly to promote amongst the student body. The faculty already has strong links with FRU and it was clear that FRU has committed time and effort to allow UCL Law Students to experience Pro Bono and wider opportunities and therefore is something the UCL Law Society and myself wanted to thank them for." The FRU team are hugely grateful for the money raised by the UCL students and wish them every luck with their studies! 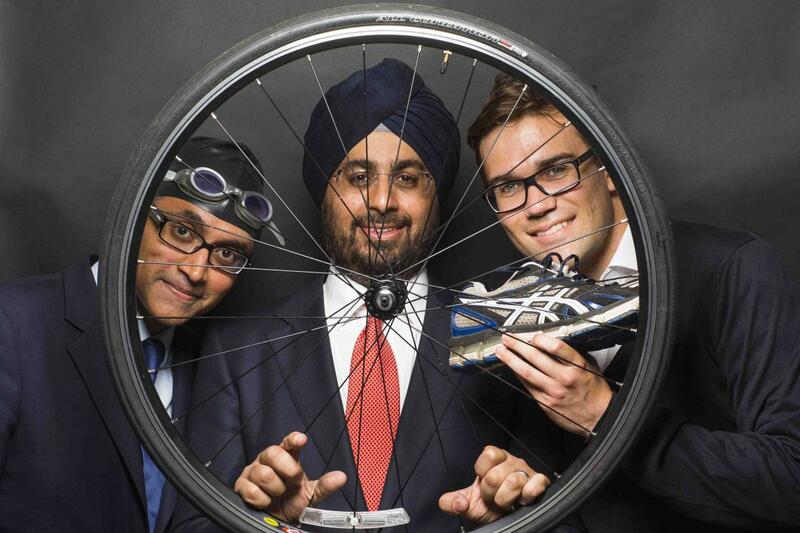 Six Teams organised by Old Square Chambers are raising money for FRU by participating in the 2013 Virgin Active London Triathlon; the largest and most established Triathlon in the world. The event will take place on 27/07/2013 and 28/07/2013 and expects to attract over 13,000 triathletes across the two days. On Saturday 27th July there will be the Super Sprint, Sprint, the Team Sprint and the Team Olympic events, whereas on the Sunday there will be the Olympic distance events, including the elites racing and the Olympic Plus event. On Wednesday 26th June 2013, the Attorney General, Dominic Grieve, visited the Free Representation Unit (FRU)’s office. He met with members of staff, trustees and volunteers and was given an overview of the practicalities of running a FRU case as well as the general work of the office. During his visit, FRU staff, trustees and volunteers had the opportunity to talk to the AG about their concerns around the introduction of fees in the Employment Tribunal and the Employment Appeal Tribunal. FRU staff and trustees expressed their concerns that the introduction of fees would unfairly discriminate against their clients who were often seeking small amounts of compensation which would be dwarfed by the tribunal fee. FRU staff reiterated concerns that even if a client were successful they would not automatically be entitled to have the fee repaid by the respondent and drew the Attorney General’s attention to the Ministry of Justice study which said a third of all claimants had not received their Employment Tribunal award a year after judgment was given. FRU staff and trustees also talked to the Attorney General about the role of Pro Bono organisations across the sector in the new legal landscape and the role that FRU, and other similar organisations, could play. Staff members explained that although they are able to represent over 1000 claimants a year, this amounts to only 0.54% of all employment cases and 0.11% of all social security cases lodged across the country. The Attorney General also spoke about his involvement with pro bono work as a bar student, and his memories of FRU in the early 1980’s. “It was wonderful to have the Attorney General visit FRU. It provided the team with a fascinating insight into the current thinking within government and the opportunity to raise issues important to FRU and our clients”. Five volunteers took part in the London marathon this year for FRU on 21st April 2013. You can still support our runners in their fundraising efforts. Visit their just giving pages by selecting their names below.